Still need something to decorate your Christmas dinner table or need a unique hostess gift to take somewhere? Pop into Tribal Voices and you'll be greeted with a table covered with a variety of items. You'll surely find what you're looking for. Stumped as to what to buy this year? Here are two local gifts under $25 for the Cyclist. 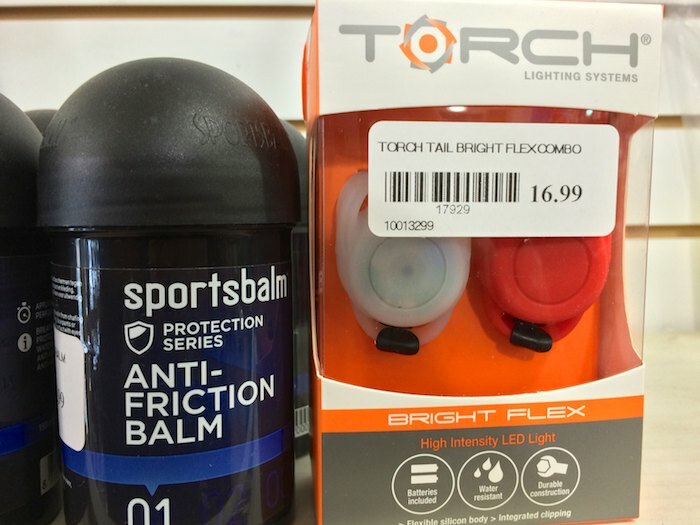 Stop in at Wild Rock (located at 169 Charlotte Street) and pick up the Torch Bright Flex LED Light, which is easy to attach to the front and back of your bike to make sure others around you are aware of your presence. Be sure to pick up a container of Sports Balm, which will make for a much more comfortable ride for those that spend a fair bit of time in the saddle. Still searching for a little stocking stuffer for someone that likes all things hot chocolate? Why not try these hot chocolate cubes for $3.75 each at Naked Chocolate. Choose from Dark Chocolate, Milk Chocolate, Gentle Mint, or Mexican Spice. Stumped as to what to buy this year? Here is a local gift for under $25 for the guitar lover. Stop in at The Guitar Boutique (located at 182 ½ Charlotte Street) and pick some Fender gear such as a toque, a hat, a t-shirts or a mug. Under One Sun (located at 236 Cowling Heights) has numerous pieces of Haitian-made handcrafted jewellery under $25. They will be open this weekend Friday 12-8, Saturday 10-4 and Sunday 12-4. Connect with Under One Sun on Facebook and Twitter. Stumped as to what to buy this year? Here is a local gift for under $25 for the Home Owner. 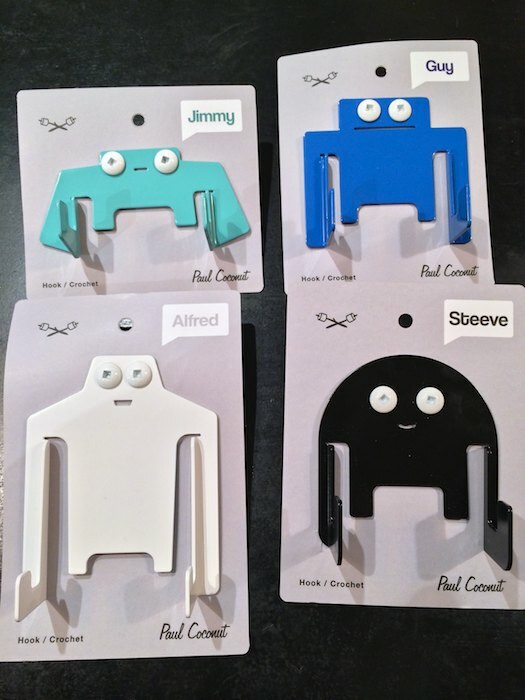 Stop in at Burrow (located at 7-188 Hunter Street West) and pick up one of the Paul Coconut Hooks. They are available in different fun shapes and styles, and funky enough to match who you are buying it for! It's hard to just pick one thing when you step into Charm Tree Toys at 372 George Street, but one of our favourites was a product called Makedo that will turn your boring old cardboard boxes into imaginative and clever creations. So be sure to save all your boxes after Christmas and check out these inspirational ideas to see what you can turn plain old cardboard boxes into! Kits sell for $12.99 to $14.99. If you have someone who's always peering out their window for a glimpse of a bird at the feeder, head over to the Avant-Garden Shop at 165 Sherbrooke Street for all the birding and gardening items you could possibly want. We thought these bird seed creations would make a great gift for under $10! Do you have little ones to shop for that love to draw, colour, paint etc?! Well look no further! You'll find great stuff at Gerri's Arts and Crafts located in the lower level of Peterborough Square—or head out to their second location at 2075 Davis Road. Stumped as to what to buy this year? Here is a local gift for under $25 for the chocolate lover. Stop in at Jo Anne's (located at 1260 Lansdowne Street West and 904 Water St. North) and pick some Camino Chocolate. With numerous different organic flavours, made through fair-trade principles, be sure to take advantage of Jo Anne's current Mix-and-match deal of 3 for $8.